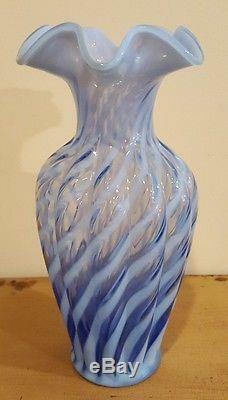 RARE Vintage Fenton Blue Opalescent Swirl Pinched Vase 11 inches! Good condition no chips or cracks. Tracking numbers are always included. Item location Lot O1 Box 1. 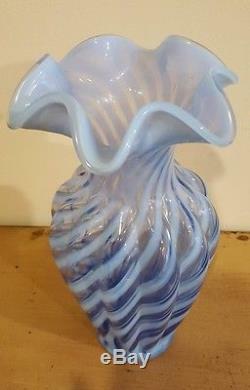 The item "RARE Vintage Fenton Blue Opalescent Swirl Pinched Vase 11 inches! Large" is in sale since Saturday, May 20, 2017. This item is in the category "Pottery & Glass\Glass\Art Glass\North American\Fenton". The seller is "collectionsmagic" and is located in Brewster, New York.